This article was originally published on BuzzFeed News. See the original here. Congress has passed on its last chance to help blue-collar manufacturers of geothermal pumps and fuel cells by making a correction — promised for a year — to a spending bill screwup. The trouble started in December 2015, when Congress was trying to pass an end-of-year tax and spending bill to run the government for the following year. Republicans and Democrats struck a deal: In exchange for allowing US oil companies to sell oil abroad after a decades-long export ban, the Republican-controlled Congress extended for their Democratic colleagues a set of tax breaks, which were set to expire at the end of 2016, that encouraged individuals and companies to invest in renewable energy. Originally passed to limit climate change and rev the economy during the Great Recession, the tax breaks let homeowners and businesses write off a percentage of the cost of installing any number of renewable energy projects. The technologies included solar panels, wind turbines, geothermal pumps, fuel cells, and combined-heat-and-power units. Or at least it did. In the rush to get home for the holidays, senators hashing out the details made a mistake, they said. Only tax breaks for solar and some wind energy were included in the final bill. Everything else was cut. Lawmakers insisted to business groups and environmentalists that it was, in the words of Minority Leader Nancy Pelosi, a “drafting error.” Republicans assured Democrats that it would be quickly fixed. But now, after a year of Washington inertia and a presidential election that has reshaped the political calculus of Congressional Republicans, that drafting error remains law. With the tax breaks set to expire on Dec. 31, manufacturers employing the sorts of blue-collar workers that President-elect Donald Trump championed in the campaign are bracing for layoffs. 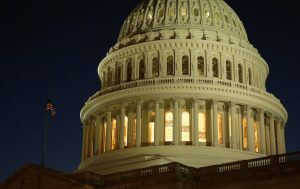 The drafting error appeared to occur on night of Dec. 15 last year during closed-door negotiations between Senate Majority Leader Mitch McConnell and Minority Leader Harry Reid, according to Bob Wyman, an independent energy consultant. “The legislation was jointly prepared by staff from both parties and the exclusion of these provisions wasn’t noticed until after the legislation was finalized,” Don Stewart, a spokesperson for McConnell, told BuzzFeed News. Almost immediately, the error was found, stunning some legislators. The next day, Democratic Rep. Paul Tonko of New York, who has a fuel cell factory in his district and was one of the first to notice the mistake, proposed an amendment to add the tax breaks. But House Republicans worried “changes at this time would threaten the entire package,” Republican Rep. Dan Newhouse of Washington said at the time. Without passing the end-of-bill omnibus bill, the government would be shut down right before Christmas. So Democrats, with a year to renew the renewable energy tax credits, backed down. “We have commitments that will happen in an early revenue bill after the first of the year, and so we’re pleased with that,” Pelosi said at a press conference two days later. But when one of those first opportunities came in April with the reauthorization of the Federal Aviation Administration in the Senate, other senators began attaching their own amendments to the bill once the renewable energy tax breaks were added, toppling over the legislation. A standalone bill introduced by Reed in May gained 40 co-sponsors, but similarly went nowhere. A bigger hurdle had emerged by then, it turns out, to correcting the typo. With campaign fund donors’ stance against “green pork” clear, it became a tougher sell to the most conservative members of the House Republican Conference. Still, Reid, McConnell, and Pelosi were “still on board to get this fixed in 2016,” Doug Dougherty, head of the lobbying group Geothermal Exchange Organization, told BuzzFeed News. Then, as with so many other political issues, everything changed with Donald Trump‘s victory. In the aftermath of the election, Speaker Paul Ryan and House Republicans during the lame-duck session passed a “clean” end-of-year bill to fund the government into 2017 — clean, that is, of any attachments, including the renewable energy extensions. As a results, manufacturers and contractors promised for all of 2016 their customers would be getting tax breaks for buying their products and services are steeling themselves for a drop in business next year. If residential and commercial installations drop 30% to 40% from 2016 to 2017, as Ellis anticipates, the 43-person company may have to lay off similar percentage of its workforce. Steve Smith of Enertech Global, the geothermal pump maker, projects selling a third fewer pumps this coming year compared to last year. He expects having to lay off 24 to 30 employees at the company’s administrative office in Illinois and plant in South Dakota. “The manufacturing jobs in South Dakota would probably be the hardest hit,” Smith said. Democrats in Congress suggested they will not let the issue go easily. But House Republican leadership said it makes more sense to fix the error when Congress reforms the federal tax code, a longtime goal of Paul Ryan. When asked if the Senate will take the renewable energy tax credits up next year, McConnell’s office said it had no announcements at this time. Now advocates see the president-elect himself has the best hope for pushing the soon-to-expire tax credits through a reluctant Congress. One point of hope is that Reed, one of the loudest advocates for the tax credits on the Republican side of the aisle, is a vice chair on Trump’s transition team. Dozens of employees at Power Plug, a fuel cell manufacturer in upstate New York, wrote an open letter to Trump asking to fix the error.